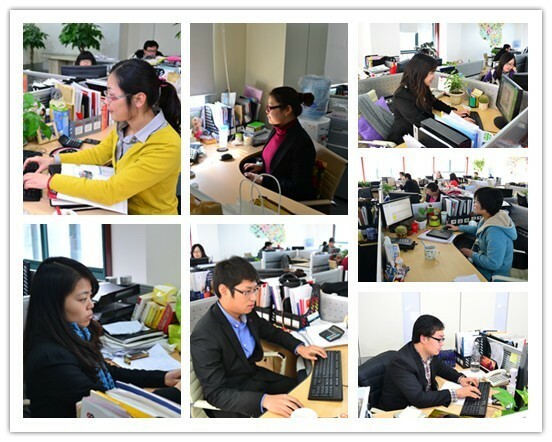 In July 2011, there were a number of outstanding strength from all the major colleges and universities joined Shanghai Zenith, and they grown up rapidly by the systematic training of the company, the professional training of department and the help of elder staff, and now they can contribute more and more to company. Our reporters first come to the International Trade Center of Shanghai Zenith, conducting an interview to several new employees who have sales results earlier. During interview, new employees mostly owed their growth to practical work, responsible and sincerity and the help of people around them. When a new employee recalled the course of transacting orders, he said with emotion that, as customer’s demand is non-standard configuration, in order to better meet customer’s demand, only a weekend, the amount of e-mail he contacted with the customer had reached more than 30 letters. "We are just a small part of new employees in the growth," there are more new forces in the growing, independently, in various positions, to show the world the professional and enthusiasm of Zenith people. As lack of experience and professional knowledge, new employees will inevitably encounter some problems in work. But, as the respondents said, "The people all around are my master," "Do not afraid of problems, many people will help you to solve them" more and more strength will initially give new employees selfless guidance and help them to be more courageous to face challenges. When talking about the cultivation of new employees, the director of International Trade Center of Zenith said: "Through training and daily guidance, we bring the new employees into mining industry, and then what we have to do is to give them adequate space and trust, let them play. And I believe they will continue to break the business. We are full of hope for new employees. " The joint of new power is bound to bring new innovative ideas for Zenith. Zenith staff can realize their personal value, at the same time to create more value for customers.